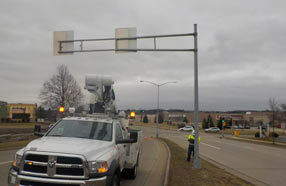 Fickett was initially contracted to conduct detailed inspections utilizing visual inspection (VT) on 28 structural members above the ground line, on all welds and bolted connections, Ultrasonic testing on all cantilever structure anchor rods, sign panels, and hardware on overhead sign structures throughout the city of Madison, WI. The contract increased from the original 28 to an additional 75 structures. If VT revealed flaws in the structure, further testing—Dye Penetrant Testing (PT) or Magnetic Particle Testing (MT) was performed to reveal the severity of the flaw. 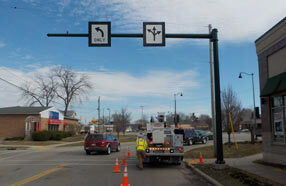 The City of Madison was immediately notified of any high-alert maintenance recommendations if inspection revealed a critical finding. 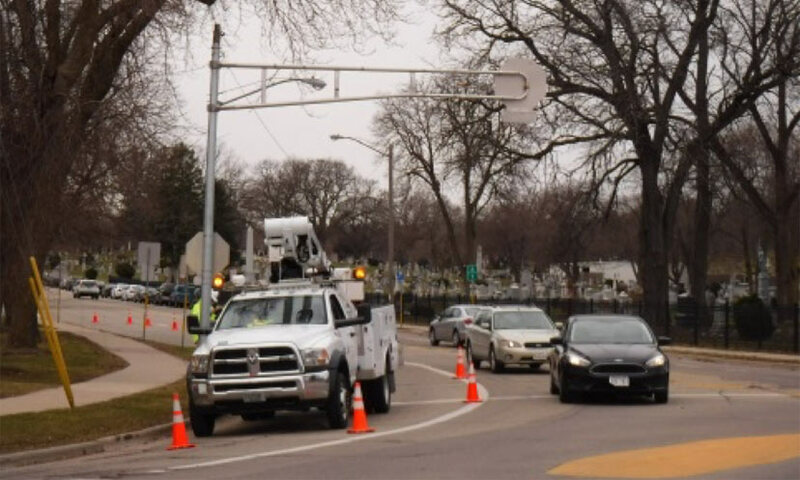 Otherwise an inspection report, following Wisconsin Department of Transportation (WisDOT) standards, and pictures for each structure were submitted to the client. 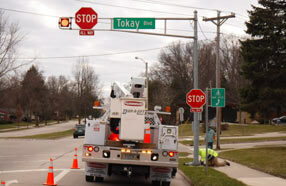 All scheduling, traffic control, and equipment was handled by Fickett.